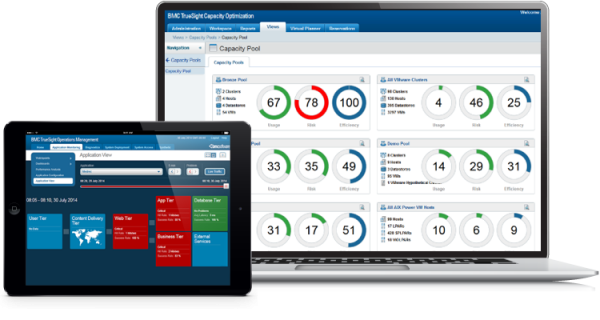 TrueSight App Visibility Manager goes beyond application performance monitoring to provide deep insight into your users’ experience. In addition to tracking and measuring user activity at the individual or location level – on premises or off – it filters data to ensure you have the information you need to keep users happy and applications healthy, without the unnecessary noise. Pinpoint which users, transactions, and application calls are affected by changes and are impacting performance. Efficiently isolate application problems, including failed transactions, at the level of individual lines of code and SQL statements. Get application diagnostics, deep-dive analytics, and robust reporting to enable faster issue resolution.